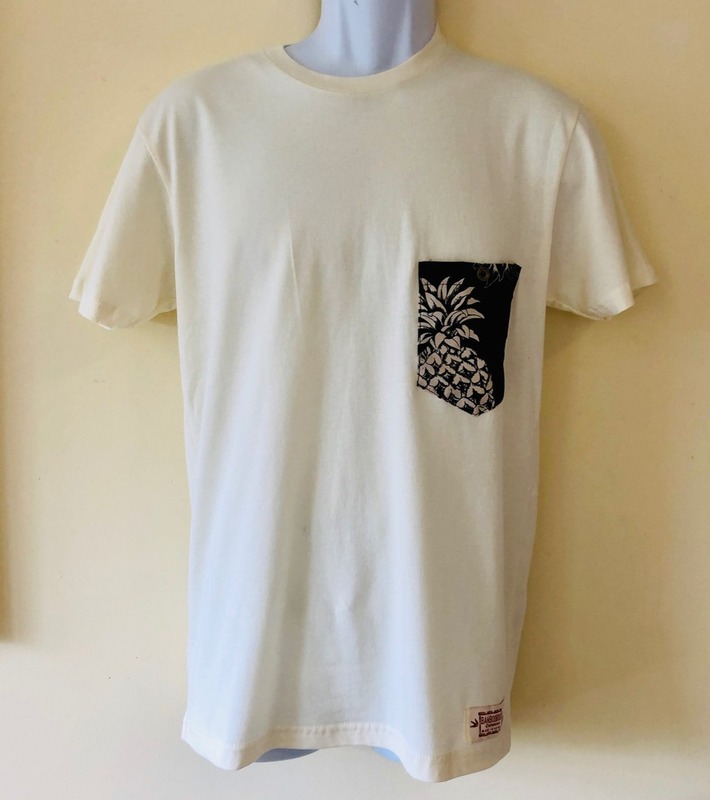 We start with 100% cotton jersey tee shirts which are light weight, soft to the touch, slightly fitted and have very little shrinkage when washed. 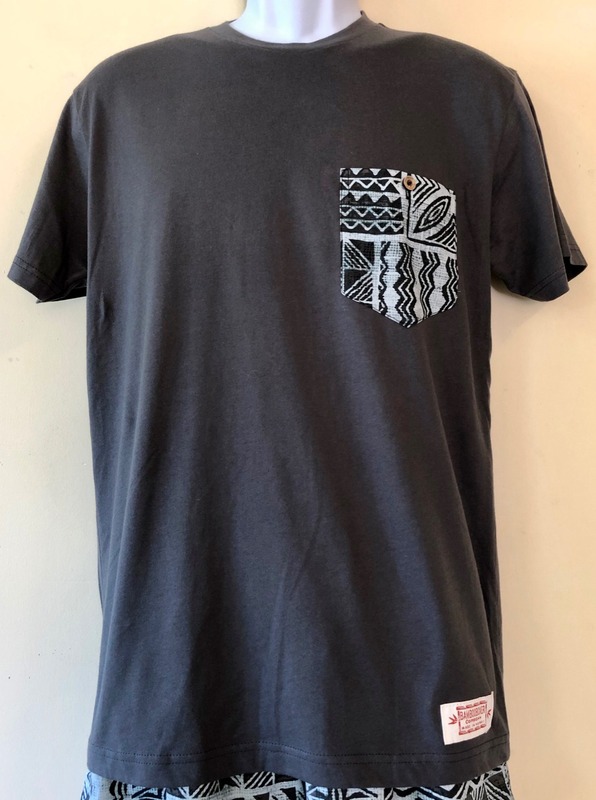 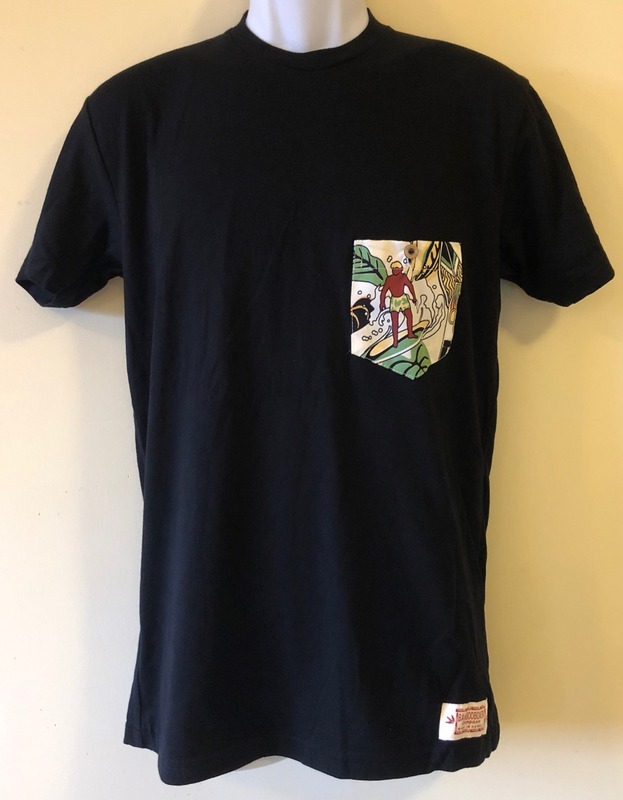 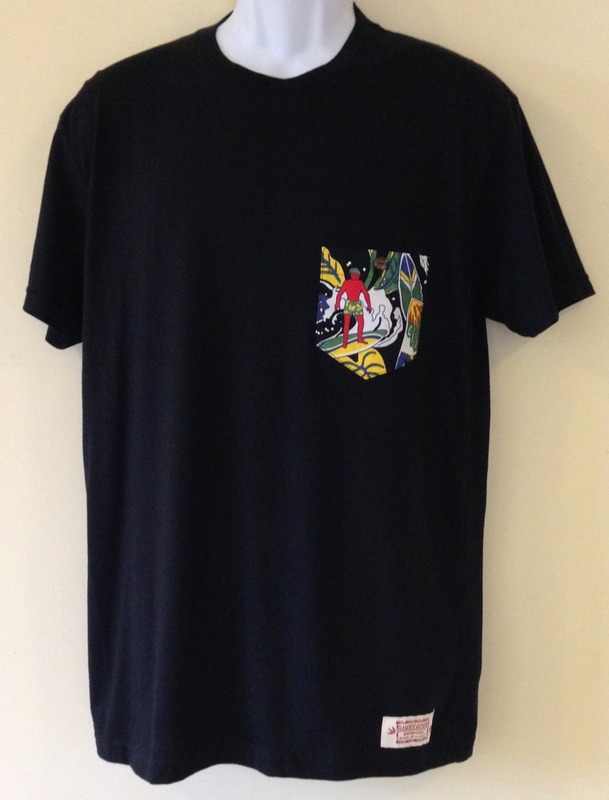 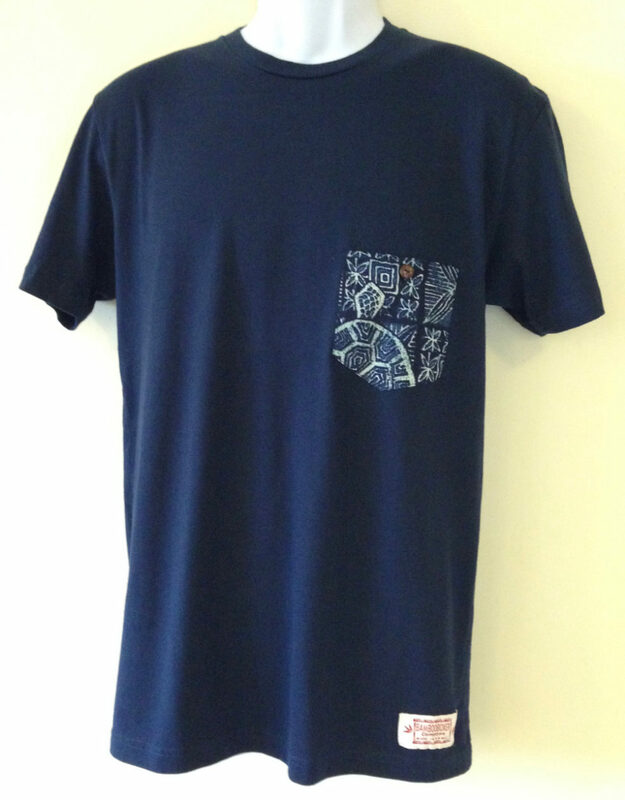 We have two styles of pocket tee shirts. 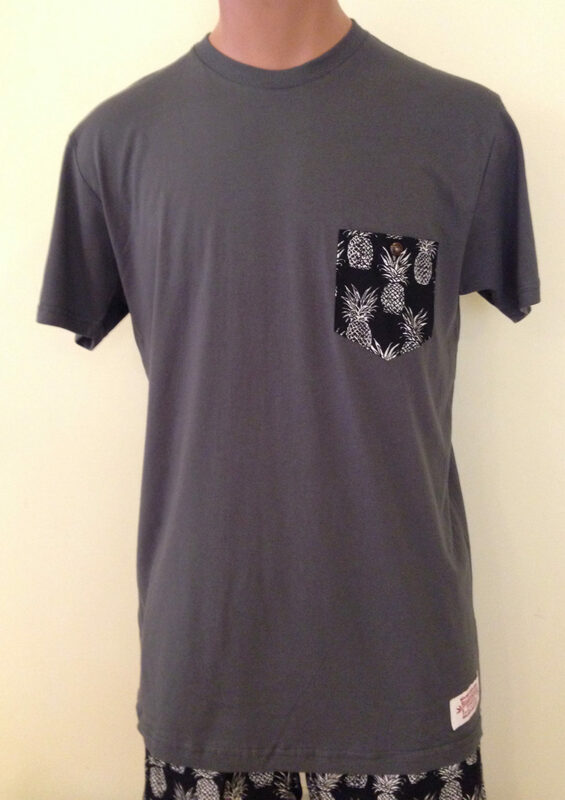 The first has a Hawaiian printed pocket on the front. 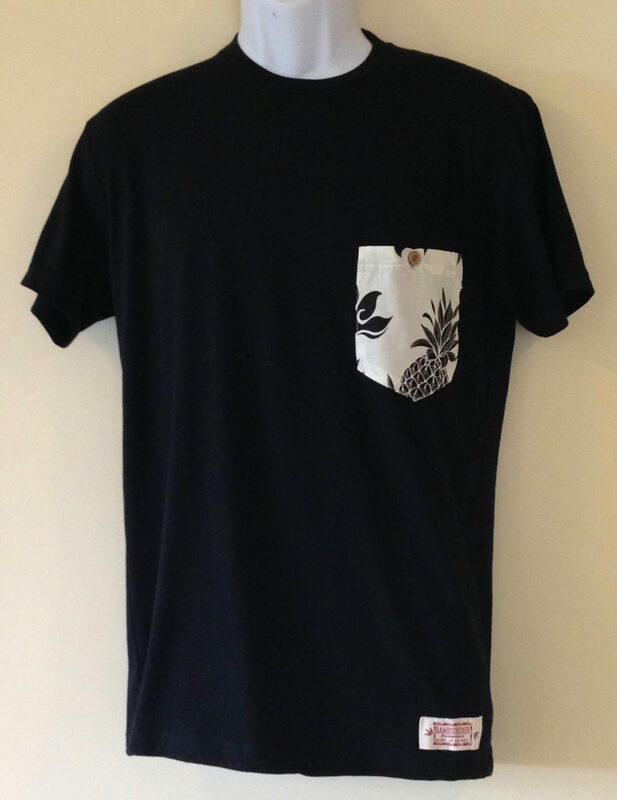 The back says “Aloha” with a pineapple in place of the “o”. 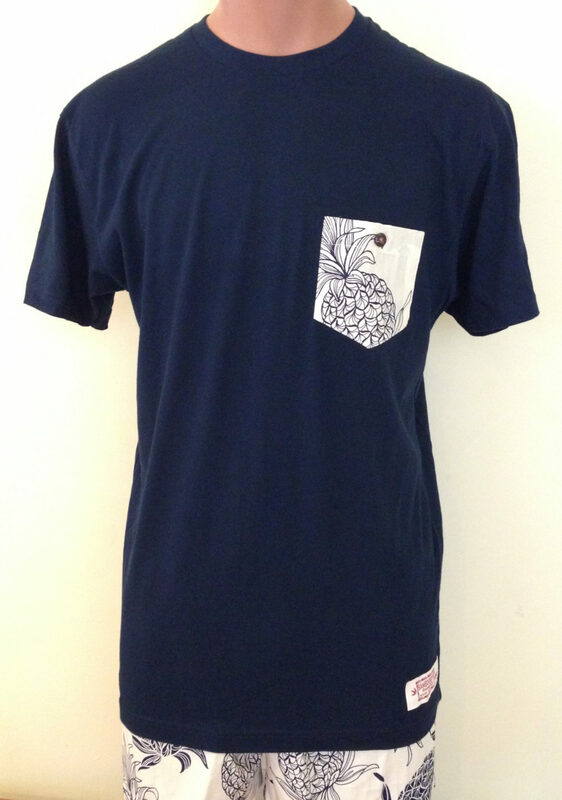 Each pocket is embellished with a coconut button with Hawaii printed on it. 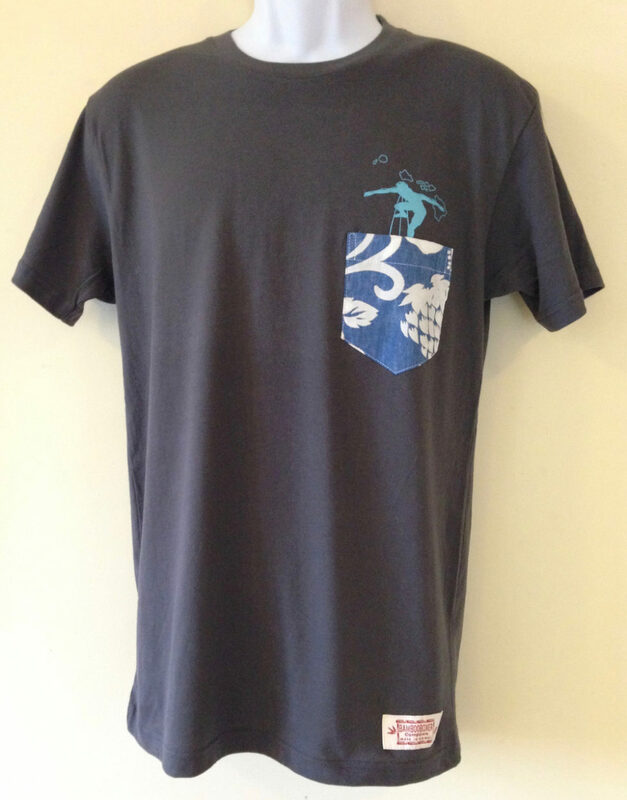 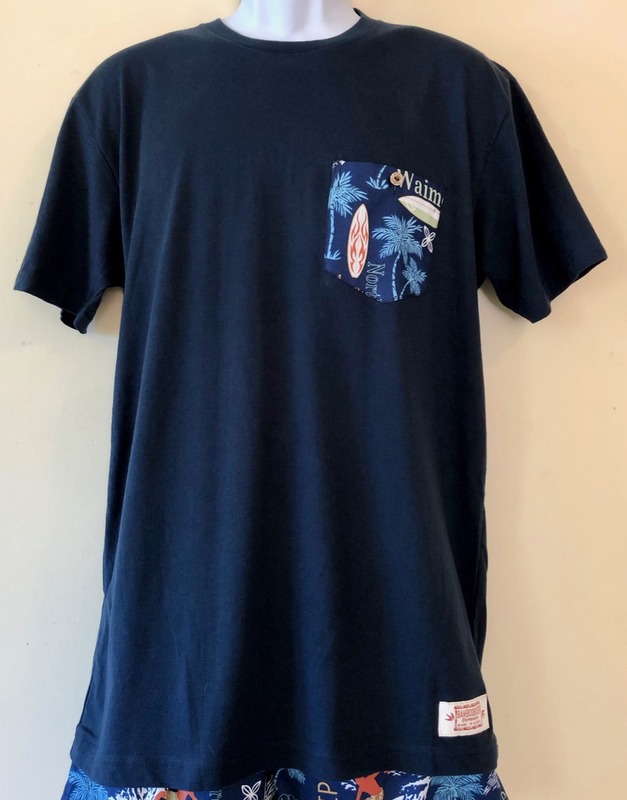 The second style also has a Hawaiian printed pocket on the front but a surfer is screened above the pocket. 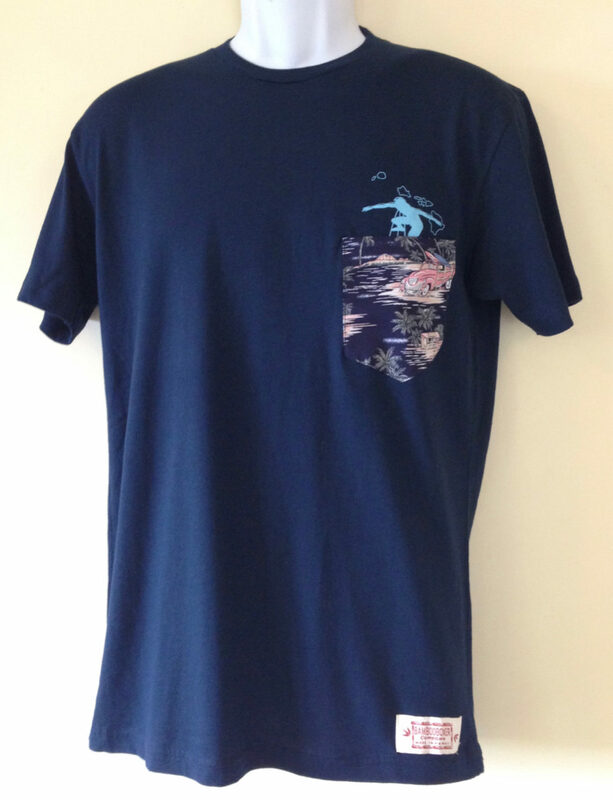 The surfer hovers above the pocket and the surfboard extends into the pocket. 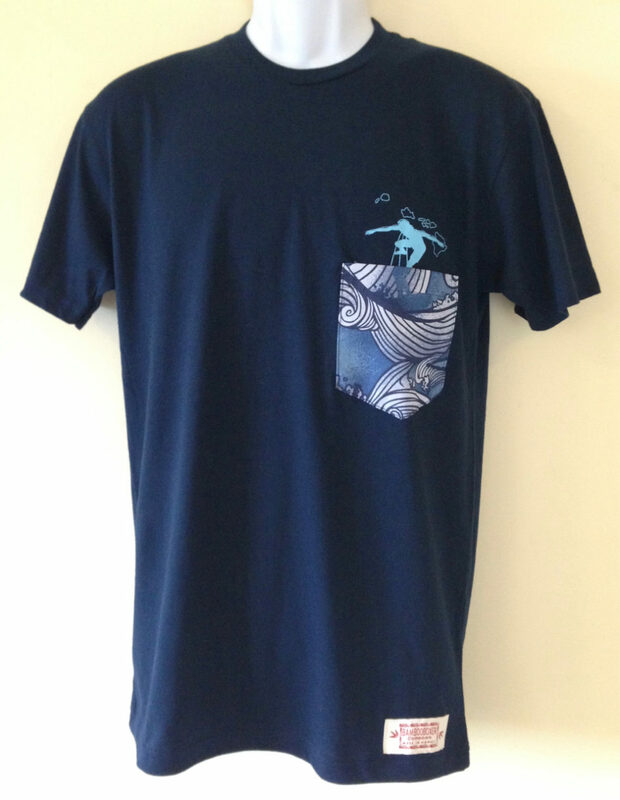 The backdrop behind the surfer is of the Hawaiian Islands. 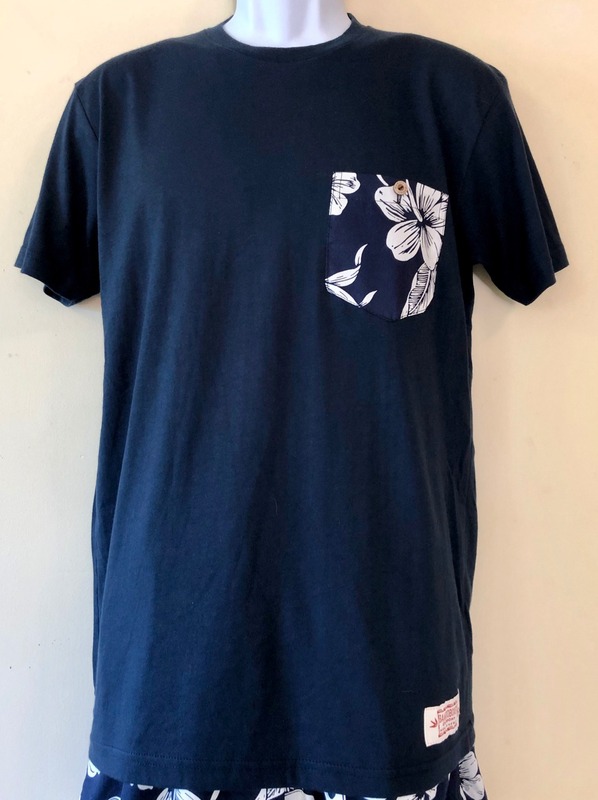 Aloha is also on the back of this tee shirt.